The Commonwealth Bank of Australia (CBA) has been awarded the CX Company People’s Choice in the finance, banking and insurance category for its efforts to improve how it communicates with customers to find out what services they want from the bank. 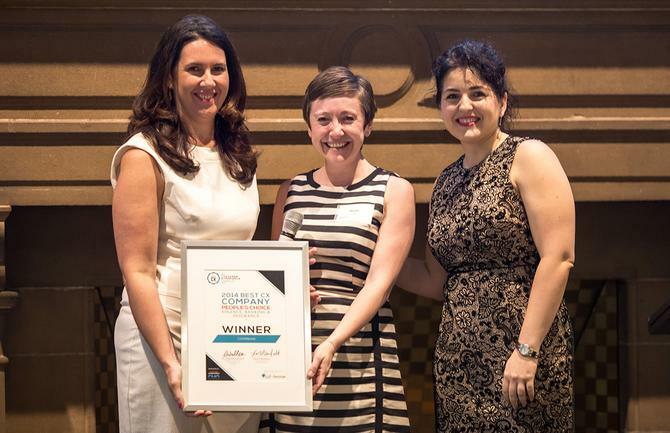 The award was presented as part of the inaugural Best Customer Experience Companies List in Sydney. The list was developed and presented by customer engagement strategy consultancy, Fifth Quadrant, and supported by CMO and event sponsor, Oracle. “The journey CBA has gone through from a customer experience perspective is nothing short of extraordinary,” said a CBA spokeswoman.“Over the past few years, there have been co-creation workshops and imbedding the strategy into our frontline staff that it’s less about selling products and more about how you make the customer feel.” In addition, CBA has been contacting its clients to try and develop the services or relationship with the bank they want. “It seems so simple to just pick up the phone and find out what your customer wants- is it a transactional relationship? Or are they looking to build a partnership with you? The only way we are going to understand that is by asking them," said the spokeswoman. Because CBA is a large organisation with approximately 40,000 staff, a customer experience and advocacy centralised department is being created to share information and strategies. Commenting on the Best CX Company People’s Choice Finance, Banking & Insurance award, the spokeswoman said the awards are a “fantastic reflection” of the fact that the financial services industry has changed. “It’s not about focusing on the products that you are selling but on the way you make your customers feel. That’s very important to CBA at the moment with client centric activities and finding out what their pain points are,” she said.